Eze, interminable traffic and perfume! 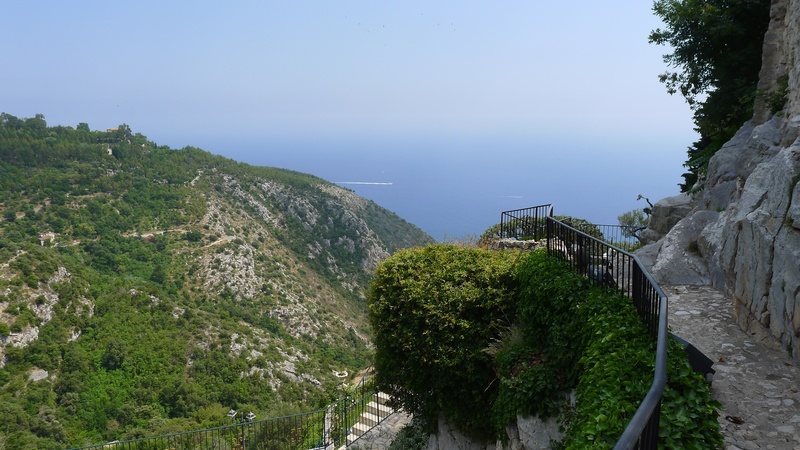 Today we are heading to Eze, a beautiful ancient village, high up on a cliff over looking the Mediterranean. Before we even get started, we decide that we will not take the autoroute. On our way through this area when we were travelling from Italy, we had the very unnerving experience of going through toll booths at an alarming pace. There was never anywhere to pay with a credit card, there were no people in them to issue change for large bills and they seemed to only accept small denominations. We finally jumped off of it before we ran out of money. So rather than experience the panic again of not knowing exactly how much change we needed to travel the highway, we opted for a route that mirrored it. BIG MISTAKE. There is a reason you pay and pay and pay. We got trapped in Cannes and travelled a total of about 3 kms over the course of 2 hours. Actually just under two hours. We were so despondent that we figured we would jump onto the highway and if we ran out of cash and had to sell our clothing to get through the tolls, we would. As it turned out, we had to go through only a couple of toll booths – it seems that what we experienced o the way through originally was an intense area of tolls that peetered out shortly after we left the highway. If only we’d known!!! 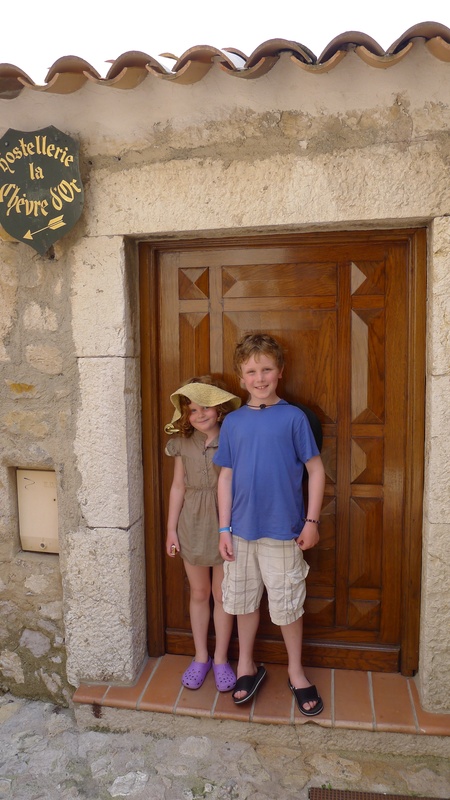 We finally make it to Eze and climb up and into the village, which has the tiniest streets imaginable. Clearly this is a walking village as no car or buggy could ever have passed through here. It’s pretty spendy. 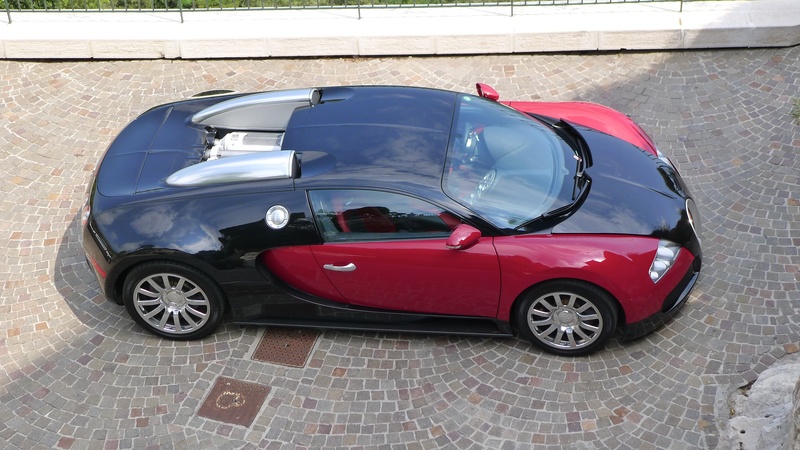 There is a Bugatti Veyron parked below us, one of Top Gear’s favourite cars, if that is any indication of the kind of clientele here. 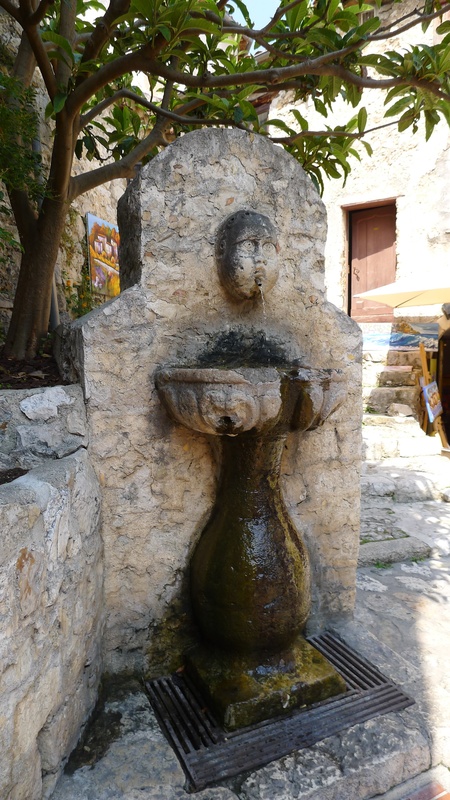 According to the caption under the fountain pictured below, this town had no running water until this fountain was installed in the 1930’s – before then it had to be carried in by hand. Does a lack of water stunt ones growth? If so, that would explain why everyone appears to have been really, really short, as demonstated by the door in the picture below. All the doors here are like this. On the way back home we need to make one last stop. Chris spent some time in this area 20 years ago and he wants to return to an old haunt that he used to go to for a drink. It was a ramshackle place at a cross roads, whose owner managed about $4.00 worth of business a day. 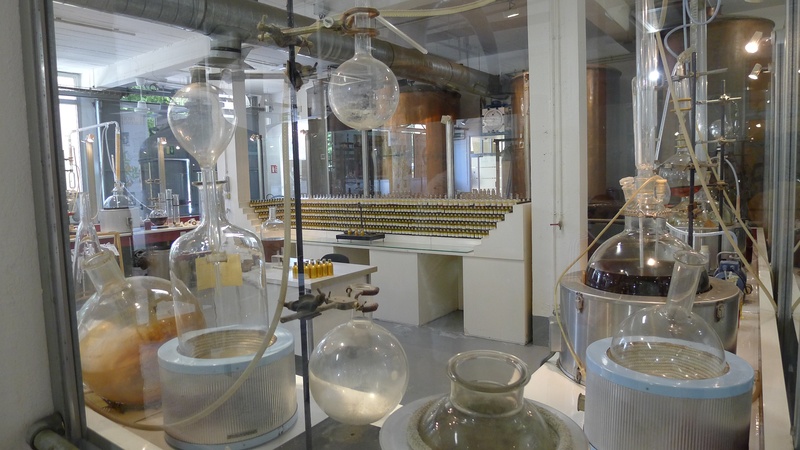 Chris would go and have a Pastis. 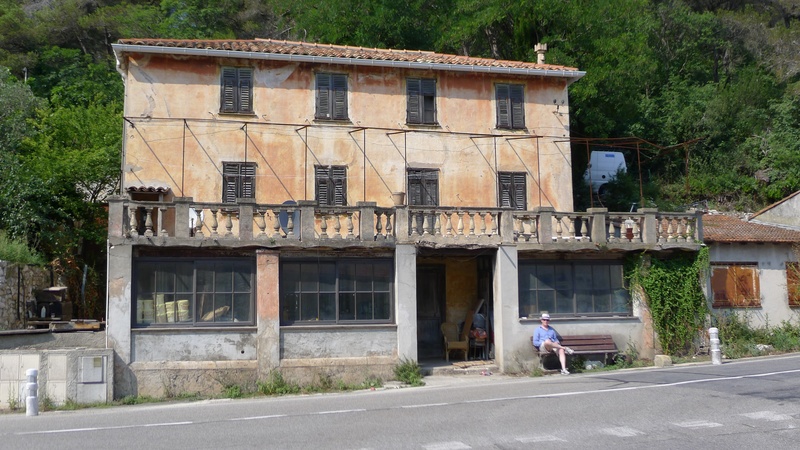 So for posterity, we head up the hills above Cap Ferrat to see if we can find this place. By miracle and divine intervention, we do. Sadly, but not shockingly, this place is no longer in business. No matter. Chris has a beer in hand and can sit at the bench outside the door for a wee visit! 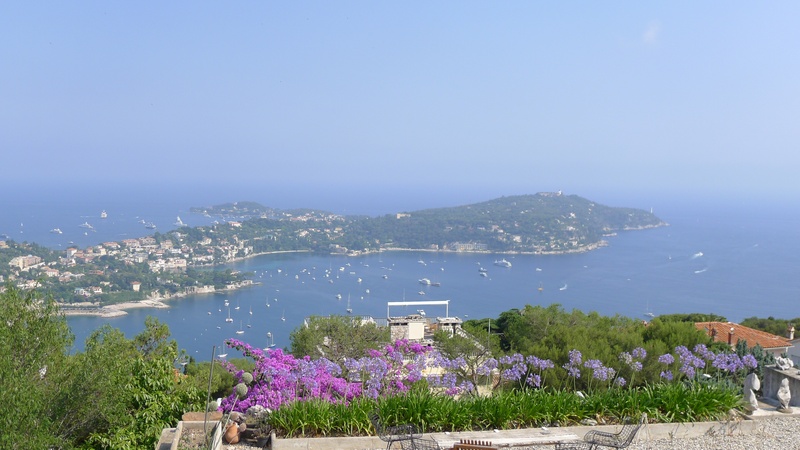 1 Response to Eze, interminable traffic and perfume! stef, read all your postings, what a fantastic trip! You are a great travel writer…perhaps you should write a book of your adventures? ?